Be prepared to track down flying owls, Hagrid-like giants, centaurs and unicorns like those you’d see in the Forbidden Forest, dragons that seem straight out of the Triwizard Tournament, and eerie figures as scary as any Death Eater or Dementor. Wizards and muggles alike can play and enjoy this hunt—in other words, you don’t have to know Hogwarts from hog warts to win! The hunt is not an addition to or variation on Harry’s adventures, but instead references to the books will provide a surprising bridge to many strange and wonderful works of art. 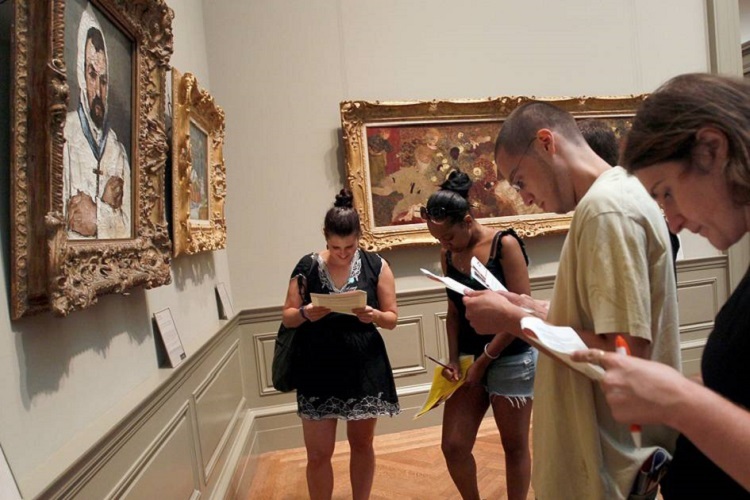 It’s a great way to discover—or rediscover—the museum. This hunt is designed for kids and adults to do together, but all-adult teams will be allowed to compete separately. Kids must be accompanied by an adult. Recommended for ages 10 and up. Click on the button below to see the hunt calendar and get in the game!